Billions of us, all around the world, love chocolate. However, there is an ongoing debate as to whether it is good or bad for our health. Some studies have suggested that certain types of chocolate may provide some positive benefits. But does this extend to all chocolate? Chocolate, in its most basic form, is sourced from the seeds of the “cacao tree”. This tree is native to Central and South America. It produces fruits, which contain 20-50 almond-sized beans, from which cacao may be sourced. So, what is cacao? Is it different from cocoa? Now, it is easy to confuse cacao and cocoa. Despite both words looking so similar, they are actually created by quite different processes. • Made by cold-pressing unroasted cacao beans. • Has a higher antioxidant and nutritional value. • Has a higher magnesium content. • A powder created after removal of cocoa butter and roasting. • It is less expensive than cacao. • Antioxidant and magnesium content is significantly reduced from the raw state. Despite cocoa having lost some of its antioxidant activity, it may still maintain enough to give a benefit. But this benefit is further reduced by additional processing, or in chocolate with lower cocoa percentages. 1. Fight Fatigue - when you’re feeling tired after a night’s rest, it is possible that your magnesium levels are low. Cacao may be able to provide a boost to magnesium levels. 2. Boost Mood - containing the molecule “anandamide”, also referred to as the “bliss molecule,” cacao may be able to produce pleasant sensations and feelings of happiness in the brain. 3. Boost Skin Health – the phytochemicals found in cacao may have a protective effect on skin, as they may be able to aid the skin’s natural defence against UV rays. 4. Fight Tooth Decay - a compound found in cacao, called theobromine, may be helpful in preventing cavities and protecting the teeth from tooth decay. However, bear in mind that if you are eating processed chocolate, this may contain sugar, which can increase decay! 5. Improve Digestion - with cacao being rich in magnesium and dietary fibre, consuming raw cacao may help ease constipation and improve digestive health. Is Chocolate Really Good for Your Body? So, we’ve seen some of the purported benefits of raw cacao. But do these translate into the chocolate products that we love so much? Also bear in mind that many chocolate products also contain high amounts of added sugar and other sources of fats. To maximise any health benefits, as dark a chocolate as possible is preferred, meaning that more of it contains cocoa. Even many dark chocolates may contain significant quantities of sugar. Very high percentage cocoa products contain far less (95-100% products for example), but will still contain a high amount of fat, which occurs naturally in the bean. 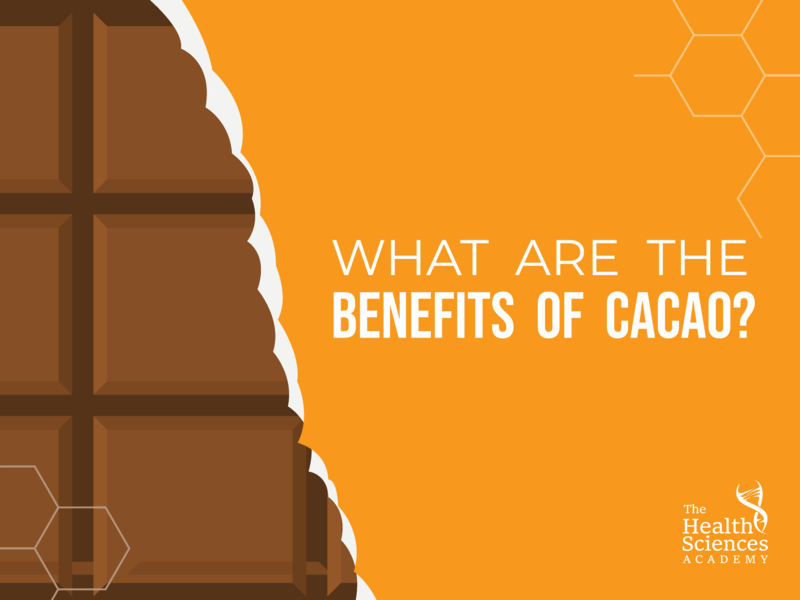 So, if you want to maximise the benefits afforded by cacao, you can buy and consume it raw… Though it may not be quite as delicious as you’d imagine (it can be rather bitter)! If you want to go for a more “typical” chocolate product, then aim for the highest percentage cocoa you can, plus, check the label for added sugar! All chocolate is calorie dense and overconsuming it could lead to weight gain. So, whatever your chocolate of choice, enjoy in moderation!